-Pittsburgh, PA … Hiawatha Project, a new theatre company dedicated to creating new and original performances exploring specific social questions, is proud to announce the launch of the creative process for its second major theatrical work: Helicopter Parents Anonymous. 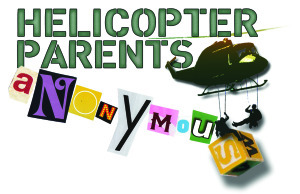 Helicopter Parents Anonymous will be developed through Hiawatha’s innovative two-year creative cycle which explores specific social issues through myth, movement and free association. The group will look at parenting in the 21st century, in particular the role of so-called “helicopter parents” who hover over their children to swoop in at any sign of challenge or discomfort. Hiawatha Project will partner with community members and organizations on the front lines of this topic, such as PTA groups, college admissions offices, coaches and teachers. The creative team for the development process includes established Pittsburgh actors and emerging talents such as Wendy Arons, Nancy Bach, Laura Lee Brautigam, Monteze Freeman, Joanna Obuzor, Mark Staley, Ricardo Vila-Roger, and Allie Wagner. In late July a two-week artistic workshop with professional theatre artists and community members will take place at Bricolage Production Company’s performance space downtown. New scenes, songs, and excerpts from the work in progress will be presented as a part of Bricolage’s “In The Raw” series on September 8th 2012. 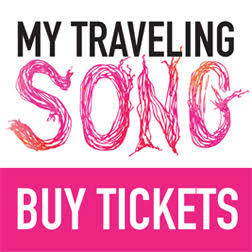 Tickets and information to follow. Hiawatha Project has also been granted an artistic residency with The New Hazlett Theater where the new work will be further nurtured and developed. A fully realized production of Helicopter Parents Anonymous is scheduled for early September of 2013 at the New Hazlett Theatre. “Helicopter Parents Anonymous” utilizes music and 12 step addiction programs to examine the evolution of parenting and childhood in the 21st century. From modern day parental crusades into preschool classrooms and twenty-something salary negotiations, to desperate mothers holding babies up for the American helicopters escaping Saigon, “Helicopter Parents Anonymous” questions the eternal hold of the umbilical cord with the need to let go in order to love more.“I have a lot of practical experience, I guess you could say, in dealing with helicopter parents,” says Martin of her 3 years organizing the annual audition tour as External Relations Coordinator for the Carnegie Mellon School of Drama. The university auditions almost 1500 students each year for a class of 60 undergraduate students. Competition is high and the pressure felt by both students and parents is intense. That same day, Martin relayed the experience in a phone call to Carello and both artists were intrigued and amused. From there the idea of a 12-step help group for helicopter parents took flight. Hiawatha Project co-founder and Artistic Director Anya Martin was recently a Creative Capital/Flight School fellow through Pittsburgh Center for the Arts, and is currently the Center for the Arts in Society’s Artist in Residence at CMU where she teaches Directing II in the School of Drama and from where both she and co-founder and Artistic Producer, Michelle Carello are graduates. The two have worked in theater arts in New York City, Philadelphia, Washington, D.C., and New Orleans, besides extensive work in Pittsburgh.